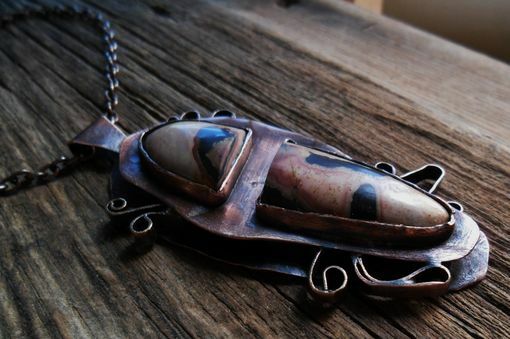 A Chinese painting stone set in copper and placed upon a copper organic shaped setting. Both layers are separated with 1/8 inch flat copper wire in curved shapes. 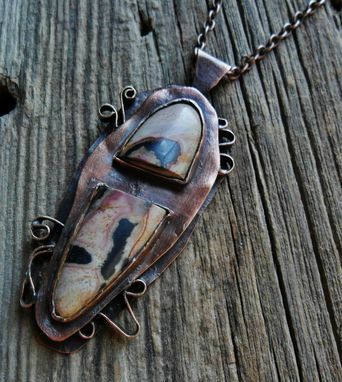 Pendant has depth and dimension and lots of interest. It is a little over 3 inches in length and 1 1/2 inch wide and hung from an 18 inch copper color chain. 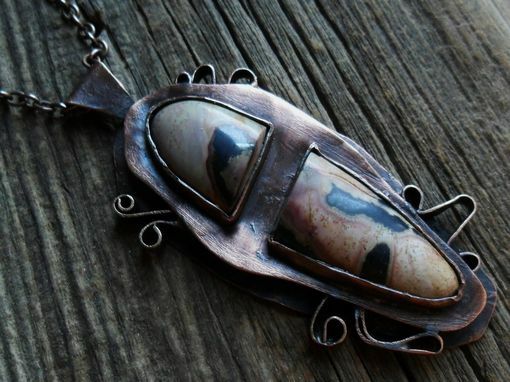 This stone is a one of a kind, so your necklace would have to have another type of stone, your preference of course.